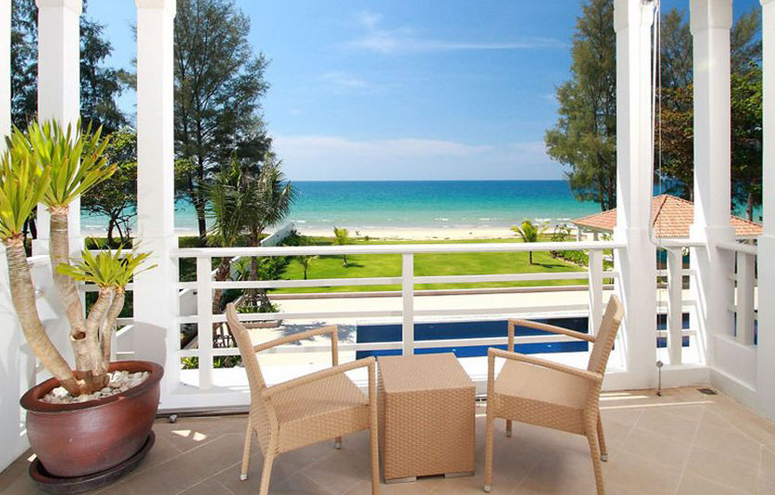 Villa Satis Beach Phuket Villa Satis Beach is a Luxury Beach Front Villa located on Natai Beach on the North of Phuket Island. 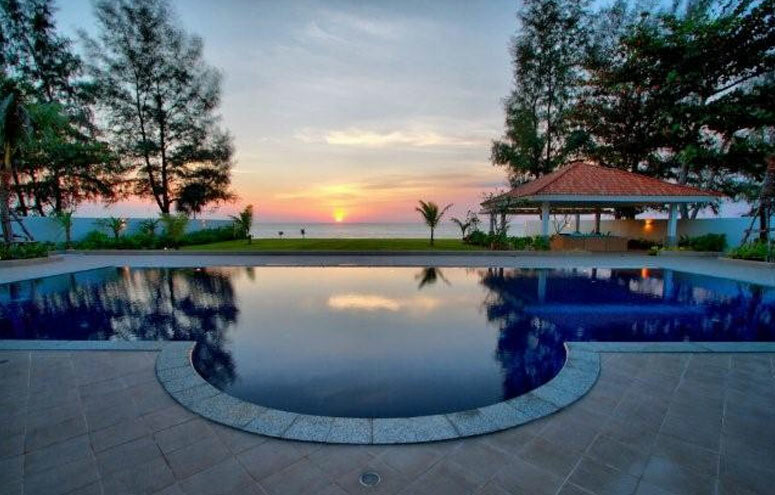 Satis House – Tranquility can be found in this immaculately kept double storey beachfront villa located on Natai Beach, Phang Nga. 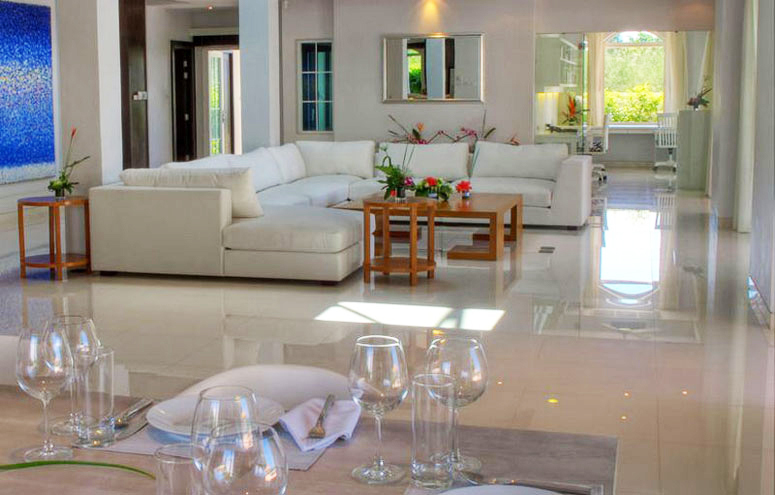 This four bedroom villa offers a feeling of harmony, cleanliness and order with its white décor complimented by touches of brown and blue. The owner has small children and has equipped the house accordingly to ensure that guests with small children have all the conveniences needed when holidaying with little ones. Upon entering the double wooden doors, friendly and attentive staff leads you to the well lit living/dining area and kitchen. All except the American style kitchen is white with a 5 m centre piece marine blue wall painting. A study area/office and separate TV room ensure that everyone will enjoy the space they require during the vacation.The fully functional Western kitchen and separate Thai kitchen offer all amenities to ensure comfort and convenience. 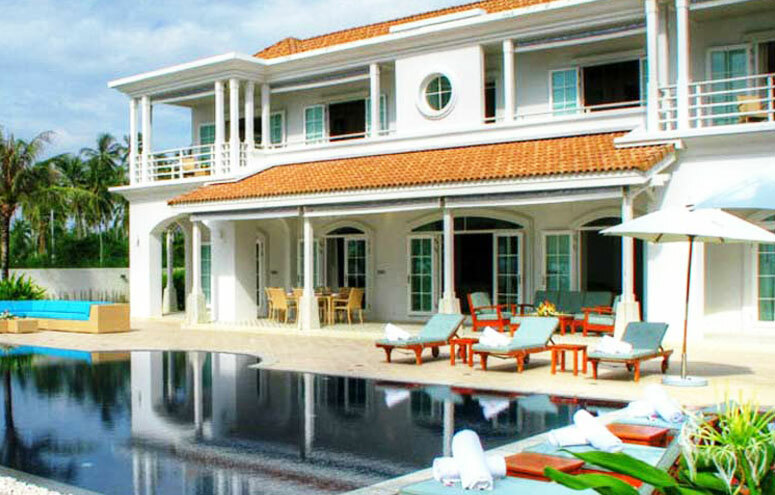 There are two main bedrooms with double beds and balconies offering splendid views of the pool, garden and sea. The kids’ bedrooms are equipped with twin bunk beds in one room and twin beds with two extra pull out beds in the second room. 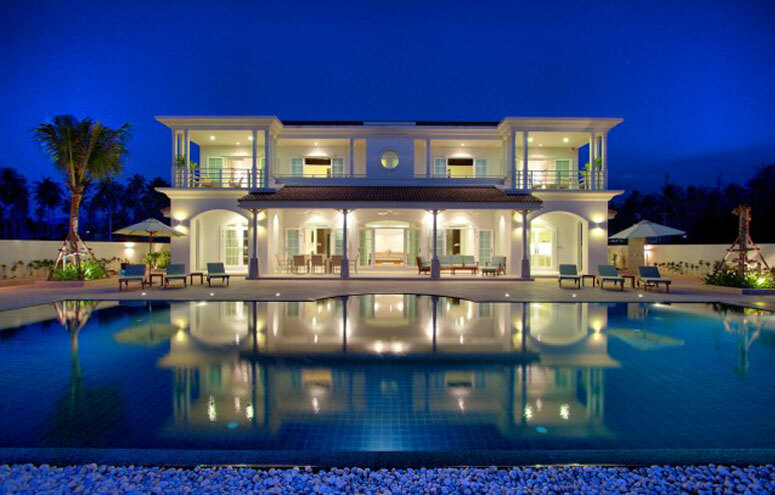 This villa can accommodate 12 people. Additional baby cots can be arranged. All rooms have en-suite bathrooms and walk in cupboards. Arched windows and doors let in the natural light and lead to the outdoor terrace which is a perfect place to enjoy meals and sunset drinks while gazing out at the pool, garden and sea. An outdoor covered Sala provides a perfect location for in villa spas, parties or just relaxing. 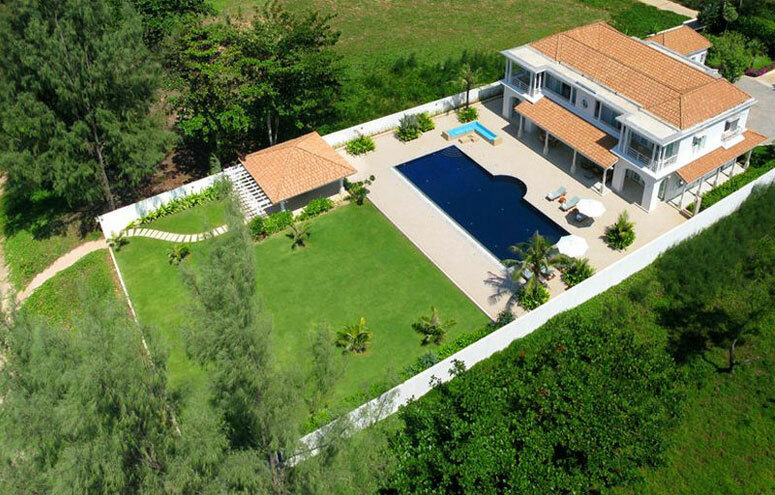 The well kept lawn leads to the beach.